Our extra large 'Big Mug' is the perfect supersized present for Dad. 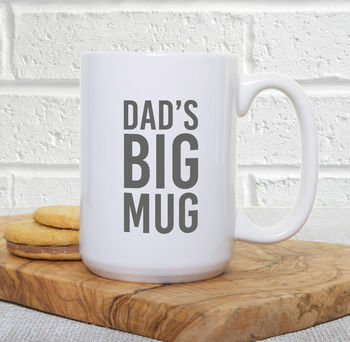 The ideal gift for Dads who need a big coffee to get them going in the morning! You could pop some of your Dad's favourite coffee, tea or even a bottle of his favourite beer in the mug and wrap it up to make a wonderful gift.